Gerald Lund was born in 1938 in Glenham, grew up and moved to the Belle Fourche area in 1951. He graduated from high school in 1957. Gerald played basketball for the Belle Fourche Broncos from 1953-1957 under the guidance of Chuck Girardi for the first three years and Lou Graslie for the last year. Gerald was nicknamed Spider. He stood 6-foot-5 and weighed 180 pounds. Playing center, Spider was known for his jump shot and aggressive play around the basket with rebounds and shooting ability, often leading his team in scoring. 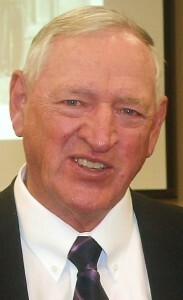 He was named to the 1957 Class A all-state team. In 1957 Gerald was the “Big” man on the Bronco squad in more ways than one. He held the records for scoring the most points for the entire season (352), with the highest average per game, 14.7. He also had the most points scored that year in a single game, 34. The 1957 team went undefeated with a 27-0 record. They took on the largest school in the State, Sioux Falls Washington, and beat the Warriors in the final game 53-40. Gerald scored the first 12 points in the first quarter, the only points the Broncos accounted for in that period. Gerald led all scorers with 16. Gerald went on to play at the University of South Dakota in 1957-1959 and then on to Black Hills State University from 1959-1962. After graduating from college he taught and coached in Custer. He went on to have a career with the U.S. Forest Service in personnel. He retired from the Forest Service in 1994 . Gerald is married (53 years), has four children, 10 grandchildren and lives in Buhl, Idaho. Gerald will be inducted into the South Dakota High School Basketball Hall of Fame on March 23, 2013. JERRY ; Don’t know if you remember me, i was at usd for about 3week in the fall of 1957 i was from indiana . you was one of the first player that i meet when i was there, and tried to keep me from leaving you said i should wait on the coach to get back from a hunting trip, i didn’t but have always thought of you and i still think of usd. if you can remember me please email. thanks for be nice to me in 1957at school. larry wasson new castle,indiana . Nice picture. I didn’t get to see you in Belle over the 4th. It was our 60th reunion and had a good time. Again, congratulations on getting into the Hall of Fame. You deserved to be in it for sure. 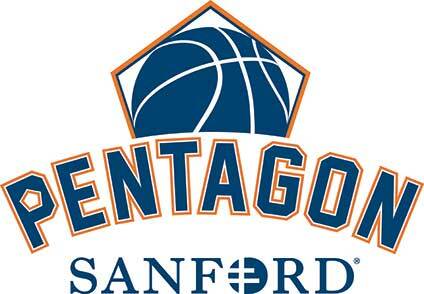 1957 was a great time as we beat Cheyenne, WY., Provo, Yankton (Tom Brokaw) and Sioux Falls Washington. A great team. Say Hi to your family.